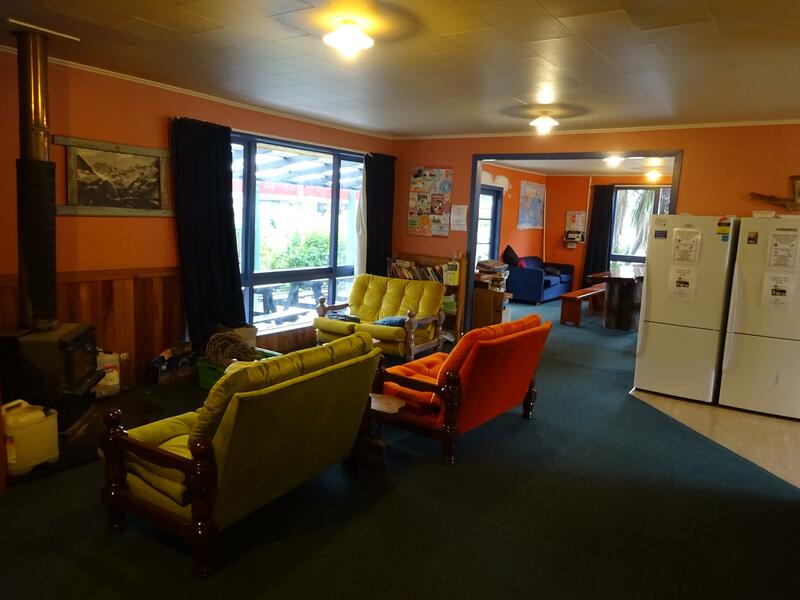 Welcome to Glow Worm Accommodation in Franz Josef. Our Accommodation offers dormitory rooms as well as private rooms in different levels with a cosy homely atmosphere. We’re only a few minutes walk to everything Franz Josef has to offer! You can book all your activities at our reception. Take a private room or share one of our dorms. We have a cosy log fire in a large communal area that extends outside, and is available 24 hours. We have a shared TV Room with a 50-inch flat-screen TV, DVD’s and Videos. Every room includes FREE unlimited WiFi, FREE Breakfast, FREE homemade vegetable soup, FREE spa pool, FREE International phone calls, FREE BBQ facilities and FREE Popcorn. We offer an experience, not just a bed! We add value to your room rate by offering free stuff and a friendly, homely atmosphere that have guests telling us they don’t want to leave! . Welcome to Glow Worm Accommodation in Franz Josef. Our Accommodation offers dormitory rooms as well as private rooms in different levels with a cosy homely atmosphere. . . . More . . .